World Economic Forum: the future is in your hands! Why is the World Economic Forum important? 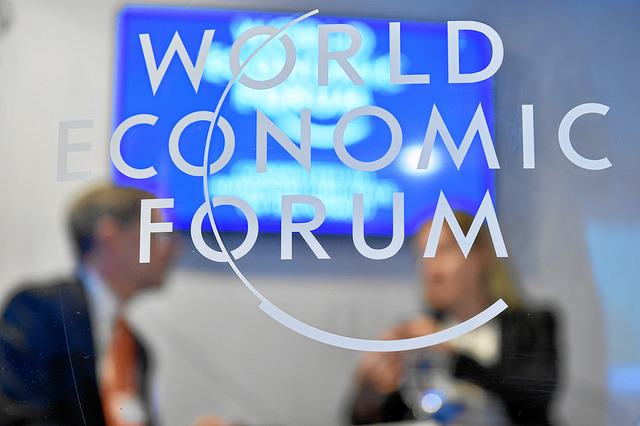 The 2016 World Economic Forum annual meeting took place in Davos, Switzerland, from the 20th to the 23rd of January and gathered decision-makers from all over the world. It enables to raise awareness among the most influential people of the world: indeed, it provides an opportunity to gain momentum and concretize current projects like the Paris Agreement from COP21 or the Sustainable Development Goals. One of the key focus was the Fourth Industrial Revolution, a concept developed by Professor Klaus Schwab, Founder and Executive Chairman of the World Economic Forum, stating that this revolution is characterized by new technologies fusing the physical, digital and biological world. Technology can thus be a way to address current challenges. Food security. By 2050, the world must feed 9 billion people. International Labor Organization estimates that more than 61 million jobs have been lost since the start of the global economic crisis in 2008. Climate change. 2015 was the Earth’s warmest year in recorded history. Gender equality. The gender gap has reduced, however some efforts still need to be done, including in remuneration. The number of inhabits is rise to 9.7 billion in 2050 with 2 billion aged over 60. 200 million SMEs don’t have access to formal financial services. Focus in long-term projects will be beneficial. How can your company contribute? Healthcare. Companies can help foster employees’ health and well-being by focusing on ergonomics in the workplace, preventing stress, preventing occupational diseases. This entry was posted in Uncategorized and tagged #climateaction, #wef16, annual meeting, carbon footprint, challenge, climate change, food security, fourth industrial revolution, gender equality, healthcare, inclusive growth, SDG, SDGs, sustainability, Sustainable development goals, technology, world economic forum. Bookmark the permalink.